Navigate the move from an on-premises environment into Citrix Cloud and learn to deploy resource locations onto Microsoft Azure. Learn the architecture, communications, and management of Citrix Cloud and the Citrix Virtual Apps and Desktops Service and then migrate existing infrastructure and settings into Citrix Cloud. 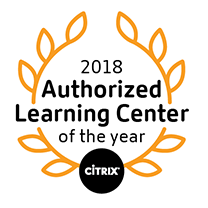 If you are planning a move to Citrix Cloud or starting out anew, this course is a necessary step in enabling you with the right training and skills to understand, manage, and deliver successfully. Plan machine catalog and virtual machine design based in Microsoft's public cloud and deploy those machines using Machine Creation Services. Learn to configure the access layer as a service within Citrix Cloud, as managed machines in your datacenter, or on the Azure platform. CXD-252 helps prepare you for the CC-XAD-CC & CC-XAD-MA Certifications.